Rumors don’t understand terms of renewal nor even less patience. 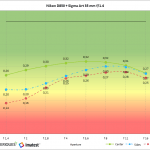 Not even ten months ago the Sony A7R II was announced -fulfilling its first year on the market in June – and the speculations regarding its would – be future successor have already begun. Although without a definite date for the hypothetical Sony A7R III¸ there are already those who dare with pools on the resolution of the third generations and put the figure between 70 and 80 megapixels. One Idea, apparently, comes from company sources in Japan to which Sony Alpha Rumors gives a remarkable credibility. Besides the significant leap in resolution, the improvements in the integrated 5 axes mechanical stabilizer are also on the list of alleged improvements to that model. Even though now it’s little more than an idea on the renewal of a camera that is far from fulfilling its normal commercial cycle (about 18 months for this Sony range), the handled numbers don’t seem exorbitant. Let’s not forget that the Japanese company recently launched a new range of optical GM designed, precisely to support the demands of future sensors with higher resolutions and even 6K video. On the other hand, Canon’s pressure in the renewed war of megapixels is more than evident. 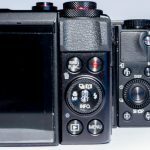 With two models of 50 million points on the market that already exceed the 42 of the mentioned A7R II, the firm promised for this 2016 a full format SLR and 120 megapixels called to beat all records. 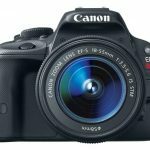 Previous Canon EOS 70D vs 80D vs Nikon D7200, what’s the difference?